All successful individuals have gone through various ups and downs in their lives. Persistence, perseverance, optimism and constant hard work have taken the path towards success for the world to acknowledge their mettle. 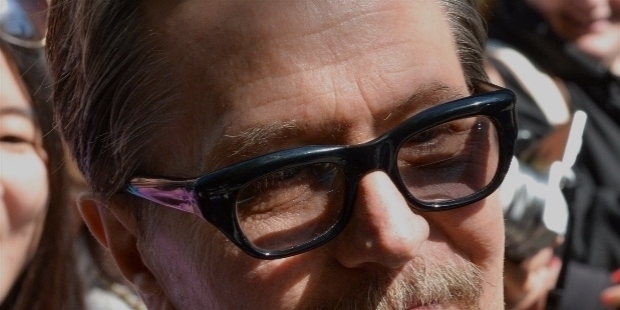 Hollywood actor Gary Oldman is one such name. 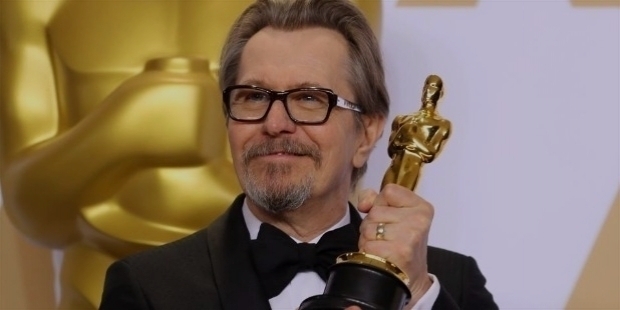 Gary Oldman has won a number of prestigious awards in his long acting career. An Academy Award, three BAFTA Awards, two Critics' Choice Awards, a Golden Globe Award and a Screen Actors Guild Award, along with nominations for an Emmy Award and the Palme d'Or. In 2011, Empire readers voted him the recipient of the Empire Icon Award. Gary Oldman underwent a huge metamorphosis to don the character of Winston Churchill in the political drama ‘Darkest Hour’. His claim to fame performance fetched him the Lead Actor Oscar Award at the Academy Awards 2018. 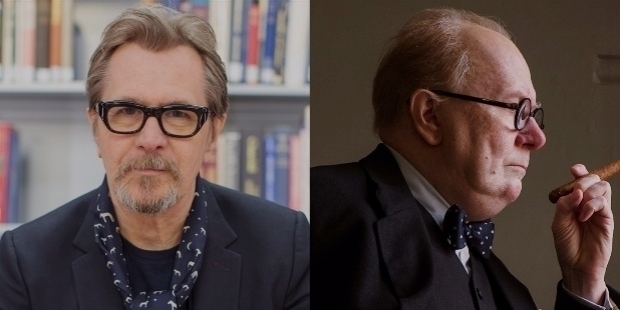 Gary Oldman had earlier been nominated for the Academy Awards for his role as the British Spy George Smiley in ‘Tinker Tailor Soldier Spy’, which was released in 2011. He was also nominated for the BAFTA Awards. 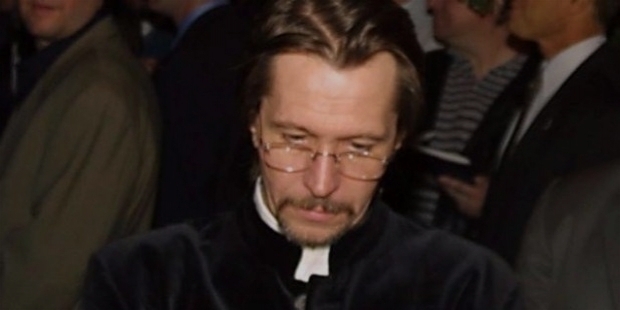 Gary Leonard Oldman was born in New Cross, London on the 21st of March 1958. Gary’s father Leonard Bertram Oldman was a former sailor and used to work as a welder. His mother Kathleen Cheriton Oldman was left alone with 7-year-old Gary when the alcoholic Leonard left them. It was a difficult childhood for the young Gary. Gary went to West Greenwich School in Deptford. Academic did not interest him, so he left school at the age of 16. He started to work in a Sports’ Shop to earn his livelihood and support his acting course. During his growing up years, he learned piano and used to sing. During the mid-70s, Gary used to work at various places. He used to work on assembly lines, in an operating theatre as a porter, beheading pigs in an abattoir and selling shoes. Deep down in his heart, Gary knew he wanted to become an actor. His vocation to earn his living was seen down by RADA – Royal Academy of Dramatic Art, who invited him to try the next year with a condition. The condition was that Gary should find something substantial and respectful to earn his living. Gary Oldman stands tall without going to the Royal Academy of Dramatic Art. It was certainly RADA’s loss. He did not lose heart over RADA’s decision. Instead, he worked hard. Gary went to win a scholarship and got the seat in the Rose Bruford College in Sidcup, Southeast of London. In 1979, Gary Oldman graduated with a B. A. degree in Acting. The actor was born! Gary Oldman’s inspiration was none other than renowned actor Malcolm McDowell. In 1971, he saw ‘The Raging Moon’ and was mesmerized by his powerful aura and acting performance. Inspired, Gary decided he wanted to become an actor and gave up his aspirations to become a musician. The British actor also happens to be a filmmaker. He has worked in theatre, television and films with great success. His versatility and acting style have made him achieve a name as one among the greatest screen actors of his generation. At the age of 21, the young man started his acting career on the stage. His powerful performance gained immense success during his theatre career. He was a member of the Royal Shakespeare Company and has performed at the London’s Royal Court. His performance in ‘The Massacre at Paris’ in 1980, ‘Entertaining Mr. Sloane’ and ‘Saved’ in 1983, ‘The Country Wife’ in 1987 and ‘Hamlet’ in 1987 were highly acclaimed. During the early 90s, Gary was seen in various offshore characters. In the ‘State of Grace’ in 1990, he played a Hell's Kitchen gangster, portrayed the role of Lee Harvey Oswald in ‘JFK’ in 1991 and in 1992, he played the lead character of Count Dracula in ‘Bram Stoker's Dracula’. His versatility has taken him towards challenging paths as an actor. Gary Oldman has never let down his directors to portray or play a challenging character. He has outshined his directors’ expectation and faith in him as an actor. His character of the antagonists in films like ‘True Romance’ in 1993, ‘The Fifth Element’ and ‘Air Force One’ in 1997 and ‘The Contender’ in 2000 triggered his meteoric rise as the corrival. In 1994, he played the character of the corrupt DEA agent Norman Stansfield in ‘Léon: The Professional’. He received immense compliments for the role. 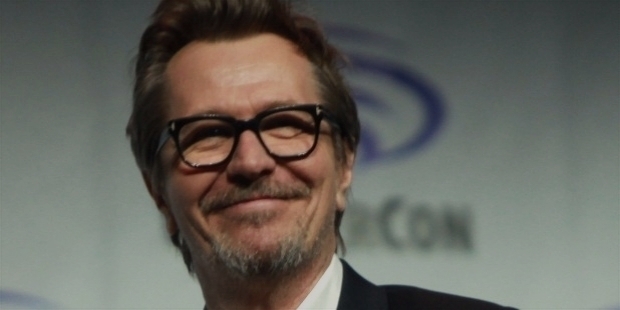 Gary Oldman was ranked one among Cinema’s Greatest Villains’ list. Such was the magnitude of his histrionics. In ‘Immortal Beloved’ in 1994, Gary gave an acclaimed reading of Ludwig van Beethoven. Who can forget Sirius Black of the ‘Harry Potter Series’, James Gordon of ‘The Dark Knight Trilogy’, Lord Shen in ‘Kung Fu Panda – II’ or George Smiley in ‘Tinker Tailor Soldier Spy’ or else Dreyfuss – the human leader of ‘The Planet of the Apes’? Gary Oldman has stood tall in every character he has portrayed in all these films. 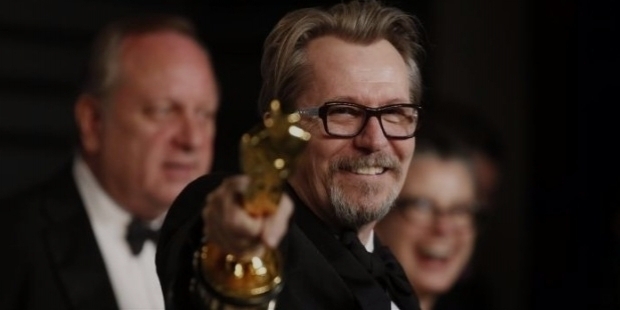 All of Gary Oldman’s films have crossed the $10.9 billion mark worldwide. For ‘Darkest Hour’, the lead role of Winston Churchill was one of the most challenging characters he had portrayed so far in his career. His transformation was sincere hard work and a great work of the art of make-up. However, to master the body language of Winston Churchill and replicate his nuances to such perfection, Gary has not only put his best but also proved his mettle as a class actor of modern times. Success does not come easy or else on the platter. His performance won him the Oscar Award for ‘Darkest Hour’ in 2018. The sweet success was an icing on Gary’s cake! Gary Oldman has featured in various television series. Prominent among them are ‘Fallen Angels’, ‘Tracey Takes On’ and ‘Friends’. He has also appeared in music videos of Guns N’ Roses, Annie Lennox and David Bowie. The writer in him saw Gary putting in the writer-director’s hat for ‘Nil by Mouth’ in 1997. 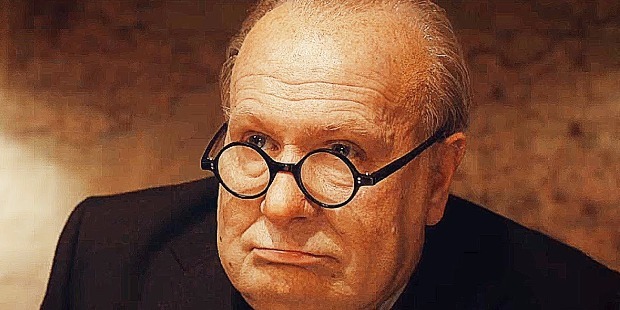 In ‘Darkest Hour’, Gary Oldman’s power-packed performance of Winston Churchill has fetched him a number of nominations and prestigious awards in 2017 – 2018. Gary won the Academy Award for Best Actor, Golden Globe Award for Best Actor – Motion Picture Drama, Screen Actors Guild Award for Best Actor, Critics' Choice Movie Award for Best Actor and BAFTA Award for Best Actor in a Leading Role. The award-winning film based on his own childhood ‘Nil by Mouth’ was written, produced and directed by Gary Oldman in 1997. The movie won the BAFTA Alexander Korda Award for Best British Film, which was shared with Douglas Urbanski, BAFTA Award for Best Screenplay, the Channel 4 Director's Award, and an Empire Award. The British Academy of Film and Television Arts adjudged ‘Nil by Mouth’ as one of the “100 Best British Films” of the 20th Century in 1999. In spite of his amazing success, Gary Oldman’s failure in the sanctity of marriage has taken the actor to the altar five times so far. In 1987, Gary married the British actress Lesley Manville. In 1989, the couple was blessed with their son Alfie. However, the marriage did not work. Three months after Alfie was born, Gary left Lesley. A year later, Uma Thurman and Gary met on the sets of ‘State of Grace’. Before anyone knew, they were married. Two years later, the couple got separated in 1992. With number three wife Donya Fiorentino, Gary had two sons. They got married in 1997 and were divorced by 2001. On the last day of 2008, Gary married British singer and actress Alexandra Edenborough on the 31st December. After six years of togetherness, Alexandra filed for divorce on the 9th of January 2015. Two years later, Gary married writer and art curator Gisele Schmidt in 2017. 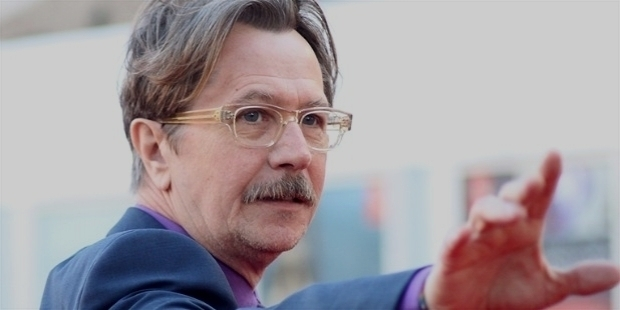 Gary Oldman is a granddad of two grandchildren – Matilda and Ozzy Oldman. They are son Alfie’s daughters.